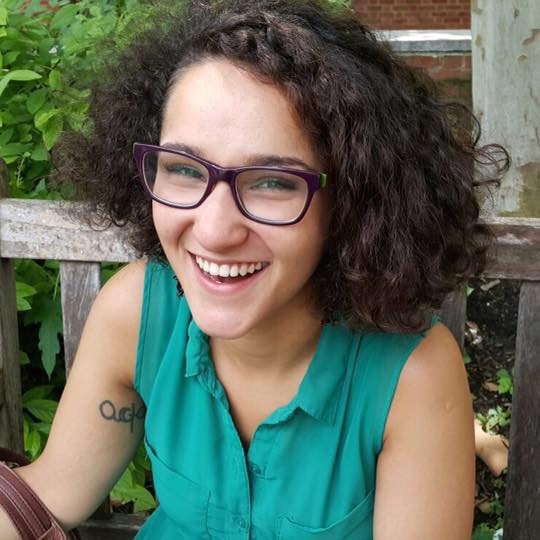 Meet Alyssa Al-Dookhi, the host of this year’s Women in Comedy Showcase! How did you first get involved in the Philadelphia theatre community? I fell in love with storytelling and started working on a story about how I never learned how to ride a bicycle. A friend of mine owned a bar that hosted an open mic, so I decided to drop in to support. Three beers later, I got onstage and found out storytelling wasn’t for me, but I loved what the comics were doing. Three years later that story is a 20-second joke and I love it! When did you first begin doing comedy/writing/being a game show host? After that first open mic I met some people who encouraged me to keep coming to open mics and trying new jokes. I’m a total Poindexter so I did a bunch of research on form and structure to write a whole new set. Being onstage is where I am most at home. I grew up studying theater and performing almost every night. A-ha! Moments are so rewarding. Coming up with a premise that you love and working on it for weeks, months, years and never getting it quite right. One day, you look at that premise again and think, “Well, actually, if I flip it around it might be perfect.” The nice thing about stand up is being able to immediately test how an audience will react to your bit. What do you love most about Philadelphia theatre? Like anything Philadelphian, it’s totally in-your-face, unapologetic and wholly lovable. Which female artist/comedian inspires you most? Maria Bamford is so great at combining things that are important to her with a great punchline and a silly voice. I hope to reach even a portion of her scope in my career. I always look forward to being surrounded by female talent and female voices! Festival passes and individual tickets are available for purchase now exclusively on TodayTix!